So why buy the Super G Audax? There are some very good reasons. The main one is that even on longer rides there is now no way I'd take the Brompton C or S bag with me. I can remember the days when I set off with literally the kitchen sink carried in those bags. Travelling light was packing out the S bag! Over time I have got to the point where I take only what is needed, trying to be a minimalist as possible. The Ortlieb is a great backpack in its own right and having total confidence in its waterproof claims has made it the bag I have taken with me on all my recent longer distance rides. Unfortunately it has also been eyed up by my eldest daughter! Number one daughter walks to school every day and is quite an active girl anyway. She often uses a tablet paired to a bluetooth keyboard to do her schoolwork. Despite me providing one of my bright orange dry bags, the appeal of the Ortlieb has been too great. Possession has been transferred and I am no longer allowed to use it! They are that good I did consider just getting another but they are quite expensive. I then thought about my friend Mark (King of the Hill) who has sworn by his Super C Aduax since buying it. The fact it has quick release buckles and like the Carradice Barley (that I sold) holds a huge amount, it was an easy decision. In addition to this I was able to get one at a great price. The bag can be attached to the saddle loops or the saddle rails by the leather straps supplied. A third step can be used to secure the bag to the seat post stem. (The leather straps are also heavy duty). I suppose it will allow the bike to take the weight again but I will miss the Ortlieb. The Carradice Super C Audax is definitely the only choice I could have made and I am sure it will serve me well on all the adventures planned for the remainder of 2013 and beyond. I must admit that I also find the buckles on the Barley a little frustrating. But, I have stuck with it on my M6L. 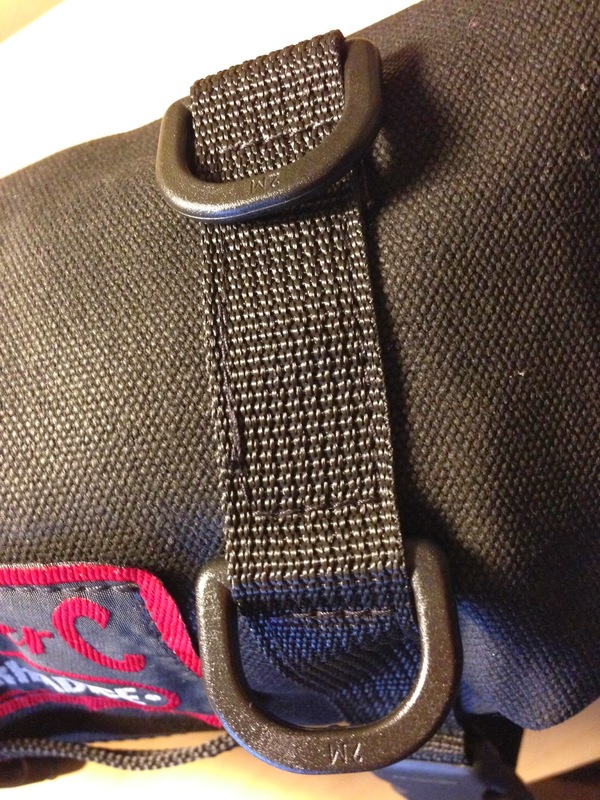 Thanks for the thorough review of this bag. It looks great!